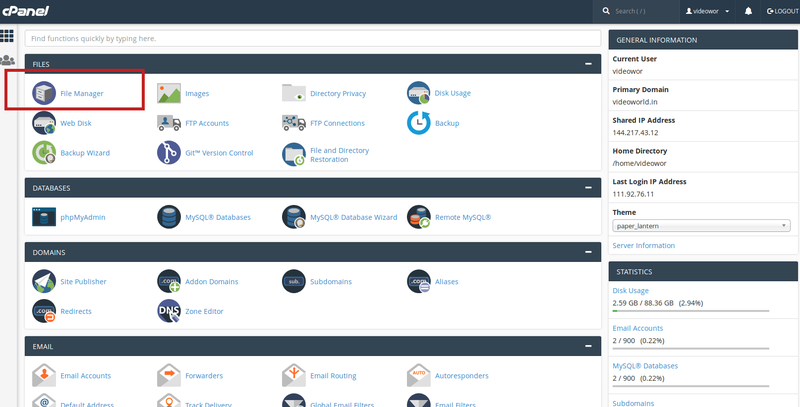 1) Login to cPanel Using Login credentials, If you do not know Login credentials please contact hosting support term. 2) Under Files, click File Manager. 3) Click to open the folder to which you’d like to upload files. Here i’m going to upload public_html folder. 4) Click Upload button from the top toolbar. 5) Click on Select File button and Select the file from your computer that you wish to upload. 6) Once the file has been selected, it will automatically upload. You may select additional files while uploads are in progress. 7) Click on ‘Back to /home/…/public_html’ after uploading completes. 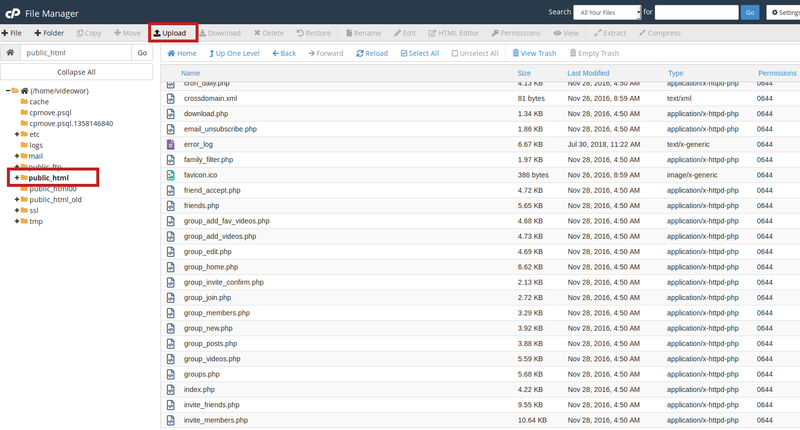 In the list of files under public_html folder, you can see the uploaded files.